Nearly everyone likes to go out to light up the grill to barbecue a steak, chicken or burgers and JD’s has taken this a step further. They have created a memorable experience featuring awesome barbecue and comfort foods with the friendliest service in town. Joe and Dinah Grimaldi have opened up a restaurant and bar which is near and dear to their hearts. 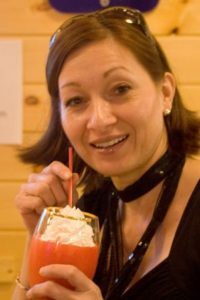 Dinah has over 20 years in the hospitality industry working as a bartender, VIP concierge and a cocktail waitress. Dinah is a mixologist who loves to create new drinks. She also lived in Tennessee where she perfected her cornbread recipe. 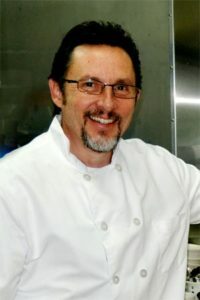 Joe has worked as a cook, a chef and an executive for over 30 years in the hospitality and restaurant business. From Niagara Falls to the casinos of Las Vegas, Mississippi and New Orleans Joe has had the opportunity to master the art of authentic barbeque. JD’s expertly prepares beef brisket, pork, ribs and chicken in their two ton smoker. Any true barbecuer worth his or her grill will tell you it’s not just the “heat” (type of wood you smoke with) but also your sauces. Joe has teamed up with a colleague to create a line of sauces to enhance the flavor and experience of the meats. With a menu ranging from fried green tomatoes to catfish and hush puppies, to prime rib sandwiches and smoke house burgers, to JD’s smoked chicken wings or Buffalo style wings JD’s Smokin Grill n Bar has something for everyone. Joe is a native of Niagara Falls, New York and spent the summers in Cuba New York. His fond memories of the area brought him back home. His roots in Niagara Falls have played a large part in his career path. From the ages of 17 to 24 he cooked at John’s Flaming Hearth in Niagara Falls. From there he moved to Las Vegas and became the Chef of Tony Roma’s, A Place for Ribs at the Stardust Hotel and Casino. The casino life gave him the opportunity to travel the United States and expand his recipes. While living 5 years in Mississippi and working as the F&B Director of a casino he was able to compete in the Memphis in May BBQ competition. His ancestral roots brought him back home where he and his wife Dinah opened up JD’s.